Years of experience accompanied by extensive industry expertise make the CloudOne.mobi Board and management team leaders in their field and knowledge pioneers! Founder of CloudOne.mobi, Dana describes himself as ‘techie at heart, entrepreneur by nature’.Others call him a ‘serial disruptor’, having founded and sold three ground-breaking tech ventures since starting his first company while completing a computer science degree at UCT in the early eighties. Since then, he has been part of every subsequent major shift in the evolution of computing. His considerable expertise and experience can be seen in CloudOne.mobi, Cloud and mobile technologies. Dana also owns the celebrated wine estate Vrede en Lust (www.vnl.co.za) in the Franschhoek wine valley. With a wealth of financial, HR and operational experience in the medical, technology, accounting and banking fields, Anna takes the place of CloudOne.mobi’s Chief Operational Officer and Co-Founder, among other roles. Highly motivated and directed by a strong work ethic, Anna leads the team to achieve a range of strategically led outcomes and targets for our products and services. Start-up as well as large corporation experience means that Anna diversifies her role as needed. In 2000, Anna received the Rector’s Award for outstanding service at the University of Stellenbosch. Don Lange is the Chief Revenue Officer for cloudone.mobi, responsible for all revenue generation processes within the organisation and driving better integration and alignment between all revenue-related functions. 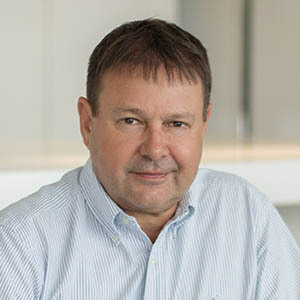 Previously Lange served as the Chief Marketing Officer and Head of Messaging Services for the Cellfind Group of companies, a subsidiary of the listed BlueLabel Telecoms Group from 2013 to 2015. He brings a wealth of experience in developing solutions for mobile communities to his role as well as a strong background in sales, strategy and management. Lange is a founding member and co-owner of MessageSquare. Meiring De Wet is CloudOne.mobi’s Chief Technology Officer. Meiring manages the development team and oversees various technical aspects of our products. A combination of team management leadership skills and technical expertise means that Meiring directs the planning, design and enhancements of CloudOne’s successful product offerings. Coming from a telecommunications background, Meiring has more than ten years of experience designing and developing products for local and international clients. His passion for scalable and distributed systems means that he is always exploring new system architectures and technologies. His knowledge of implementing modern, scalable and fault tolerant systems places CloudOne.mobi’s product sets head and shoulders above the rest – delivering top quality solutions that are powerful and effective. As Deputy CEO and head of services and IT at Pick n Pay, Richard brings a wealth of top-level management experience to the CloudOne.mobi team. He joined the board of Pick n Pay as a non-executive director in 2010 and was appointed Deputy CEO responsible for information systems, value-added services, online retailing and property in 2012. A Chartered Accountant, Richard was previously a partner at Ernst and Young and has served on the boards of Massmart, Woolworths and Wooltru, before founding the successful information technology services company, Affinity Logic. He is a past international Chairman of the Young Presidents Organisation (YPO). Rob is a founder and group CEO of Quirk, a digital marketing agency established in 1999 and today one of the most awarded on the African continent.Rob brings unique knowledge and insight of successful innovation, with the ethos ‘driven by creativity, yet disciplined by results’. Rob co-authored the book eMarketing, the essential guide to digital marketing and was founding Chairman of Silicon Cape, an initiative that nurtures technology businesses in the Western Cape and beyond. His many awards include Greatest Individual Contribution to Online Media and Marketing in South Africa from the Bookmarks Awards and Young Business Leader of the Year at the CNBC Africa All Africa Business Leaders Awards in 2013. Shaun is the founding executive director of The Mandela Rhodes Foundation in Cape Town, an organisation dedicated to building leadership excellence in Africa.Shaun was associated with Nelson Mandela for 23 years. He also acts as trustee of various charitable organisations.A veteran journalist he has held editorial roles for several newspapers, including the Johannesburg Star, the Cape Argus, Saturday Star, The Sunday Independent and he was Deputy Chief Executive of Independent News & Media South Africa. Shaun is also the internationally best-selling author of Strange Days Indeed and The Native Commissioner. He was educated at Rhodes University in Grahamstown and the University of Oxford, where he was a Rhodes Scholar.